Express – Real Madrid set to accept £96m Man Utd bid for Gareth Bale in order to land Paul Pogba. The Welshman is an apparent transfer target for Louis van Gaal this summer, with reports today claiming that a world-record summer move is on the cards. And Italian outlet Mediaset believes that Real are ready to accept a bid of £96m from the Red Devils for Bale’s services as they look to secure a deal for Pogba. This is the rumor that just won’t go away and when there’s smoke there’s usually fire. Bale has had a tumultuous season at Real Madrid this year, and no matter what gets said, the rumors of him leaving the club won’t go away. Sure the move will allow Real Madrid to persue, and likely cost United a shot at, Paul Pogba, but United are also very much believed to be bringing in Borussia Dortmund midfielder Ikay Gundogan for £30 million this summer. It would be nice to bring Paul Pogba back home after letting him leave FOR FREE a few years ago, but some things aren’t meant to be. Nevertheless, with United’s new record breaking kit sponsorship with Adidas bringing in the money, United can more then afford the steep price tag for Bale. Last season United said that with the new sponsorship money, their goal was to bring in “a Luis Suarez a year,” a reference to the £75 million move Luis Suarez made to Barcelona last summer. Well, a Luis Suarez a year means this year Gareth Bale this year followed by Harry Kane next summer to really break the hearts of Tottenham fans. 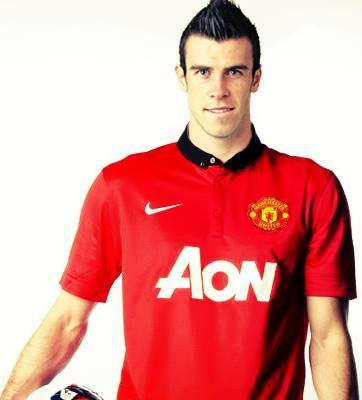 Time for Bale to come to Old Trafford to follow the footsteps and become the next Ryan Giggs!